Here is another before and after that CBS completed a few weeks ago. The previous bathroom was quite dated with green sanitaryware and a green carpet to match! CBS transformed it into a stylish and practical shower room. Grey tiles were used on the wall and floor which are a popular choice at the moment! 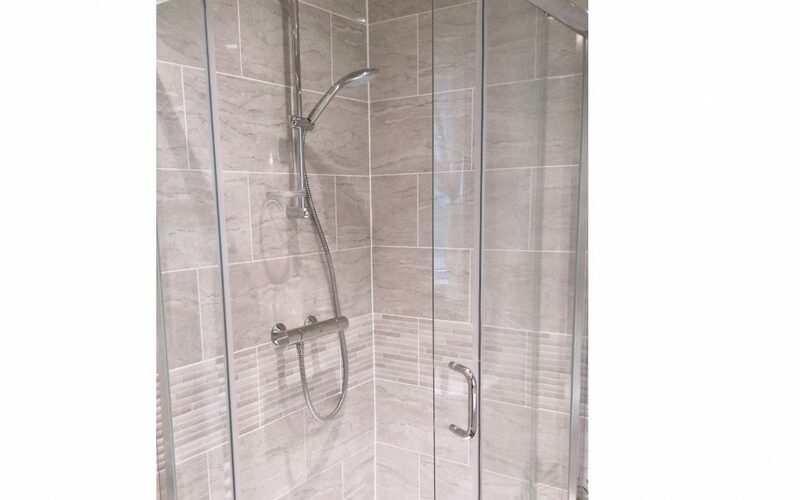 We installed Montrose furniture which gave the customer storage space that they never had before and a large offset quadrant shower enclosure which is very spacious! If you have any questions about this installation feel free to get in touch!